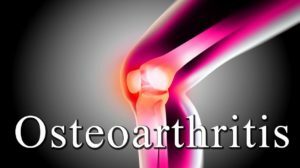 Osteoarthritis (OA) is a non-inflammatory disease primarily affecting the joints, mainly the knees, and which results from the continued loss of articular cartilage of the joints. The disease causes pain and may lead to deformity in the affected areas. Osteoarthritis is also known as degenerative arthritis. According to the article by Sincov & Cymet (2003), epidemiologic data on osteoarthritis varies from one person to another depending primarily on the source. Although, OA affects people from all the different age groups, it is mainly prevalent among the older population with 65% of people above the age of 65 years demonstrating radiographic evidence of the disease. Although there are numerous other forms of treatment for OA, total knee replacement surgery is the most common form of treatment. In total knee replacement, the surgeons fully replace the affected part of the knee with an artificial part (Greengard, 2012). It is a complex process requiring surgeons to make precise measurements in order to shape up the remaining borne structure to accommodate a knee implant. The process begins with the surgeon making a vertical incision to gain access to the patella. The patella is then rotated to allow access to the area needed for knee surgery. This is followed by the preparation of the femur through the implantation of the femoral component. The tibia is also prepared through the implantation of the tibia component. Before the patella can be returned to its normal positions, adjustments might be necessary to fit in with the other components. Finally, the patient will undergo exercises to ensure that the system operates correctly before completing the surgery and closing up the wound (Greengard, 2012). The main muscuskeletal age related change likely for Mr. Orem is the weakening of his bone structure as a result of age and the deterioration in the knee cartilage as a result of old age. Examination findings in Osteoarthritis patients are mainly limited to the affected joints. The most notable symptom of Osteoarthritis is a reduced range of motion and crepitus. Physically notable is swelling on the knee area and warmth around the affected region. The patient also experience pain while in motion and as such may not want to participate in motion and is relieved at rest. Tenderness at the palpation of the joint line and pain on both passive as well as active motion are also common indicators of the disease. As can clearly be seen in the table below, upon overall assessment of Mr. Orem’s case, his MORSE score is 65. In the management and treatment of the condition, the nurses must include four main lessons to the teaching plan. The following are some of the main aspects that should form part of the lesson. A brief understanding and knowledge on the condition as well as important aspects of self-management. The primary care nurses are vital elements in sharing information about OA with their patients. Information on pain and medication management. Pain management is important for patients with chronic pain or OA. Relieving pain allows the patients to increase their level of activity and to improve their overall wellbeing. Importance of exercises and the required level of exercise. Previous research has shown that exercises play an important role in the management of OA. The primary care nurses must inform the patients on the importance of exercises and the type of exercises important for the management of OA. Finally, the nurses must educate the patients on essential diet for the condition. This plays an important role in weight control and important nutrients for the condition. The main psychosocial factor affecting Mr. Orem is stress. He is the sole bread winner of his home and the caregiver to his sick wife. Another factor is the fact that the patient and his sick wife live alone without a healthy caregiver. There are numerous issues that may impact the healing process of Mr. Orem and which raise worries to the nurses. First, Mr. Orem lives with his wife who is ill with Alzheimer disease and thus requiring assistance. Mr. Orem on the other hand require assistance especially during the healing process. As such, Mr. Orem may begin doing tasks that may be dangerous to his healing process in assisting his sick wife. Similarly, He is the bread winner and as he says, there is need for him to get well soon to continue with his daily work. This may also impact his healing process. Thirdly, Mr. Orem lives in a 2-storey building which means he needs to climb stairs on a daily basis. This may not be appropriate especially before the knee heals fully. Finally, past medical history shows that he has been affected by numerous other diseases in the past which means that his health needs special attention.